Because your office uniform doesn't need to be boring! If you believe that business attire is strictly for the “boardroom only”, let Uniqlo’s latest collection change your mind. With the idea that every piece is transient, versatile, and timelessly chic, the brand’s latest offerings are perfect for the office and everywhere else. With pieces that are easy to layer over and under basics and a contemporary color story, Uniqlo definitely makes off chic look like you’re #workingnotworking. Take for example a bomber jacket worn by Kryz Uy. Utilitarian yet casual and cool—an easy styling option paired with your favorite culottes! Or why not layer a cami over a sweater and top it off with a matching cardigan like Laureen Uy? Because if you can, why not? Then you could also go versatile with a camisole top and drape gaucho pants like Camille Co. 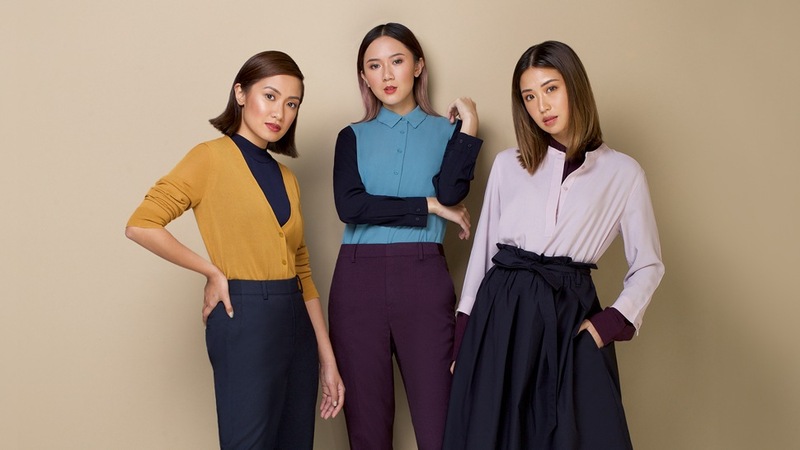 In this video let fashion bloggers Laureen, Kryz, and Camille, along with their beaus, show you exactly how versatile Uniqlo’s new collection is. To know more about the collection, visit Uniqlo.